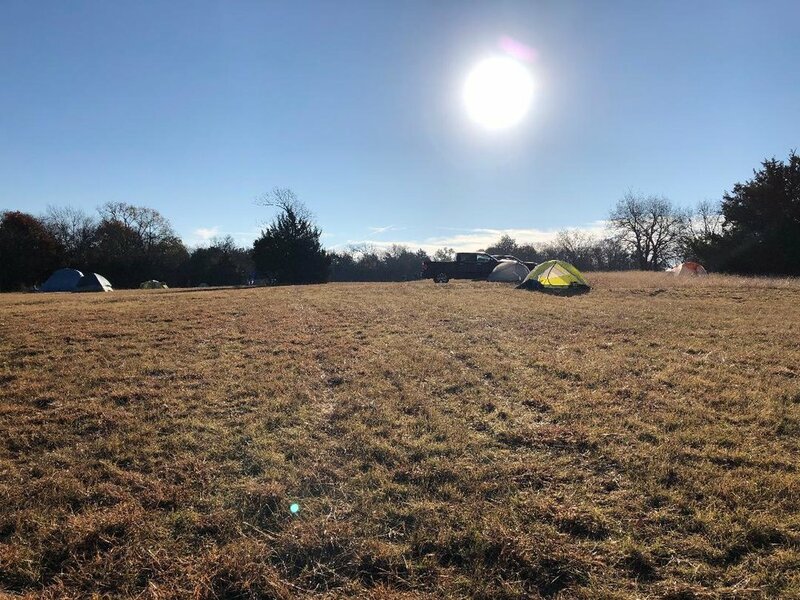 Our annual fall recruiting Olympics Games Campout featured perfect, perfect fall weather. 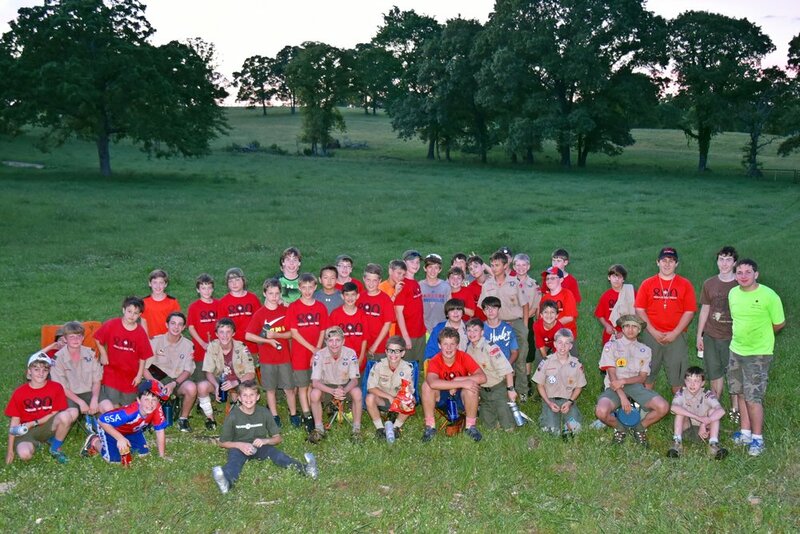 Over 50 Scouts and 20 adults attended this year. In addition to many Webelos II recruits from LH area Cub Scout Packs, we were joined by the future Scouts of Troop 890 - Girls, and their leaders. Over 15 soon-to-be Scouts (girls) attended, camped out, enjoyed our feast, and enjoyed exploring the outdoors with their buddies. Sound familiar?? Oh yeah, and the Dads beat the boys (Bacon Ninjas) at Broomball!! We are indebted to Mr. Noble for his generosity every year. The sun was up a bit after 8 am, and it was time to start shedding layers after a sub-40 degrees Friday night. Get ready to eat turkey! Thanks to all our guests and 890 recruits for joining us! Future 890 boys and girls. We could see the Anna Lightfest balloons. DADs tent at the ranch with blue skies! The caliche pit up top with beautiful clouds. We camp 3 times in the fall and 3 times in the spring. First Years typically have 2 more 1-nighter campouts. Some campouts are “standard” and others are selected and planned by the PLC. Below are maps for some of the standard campouts. 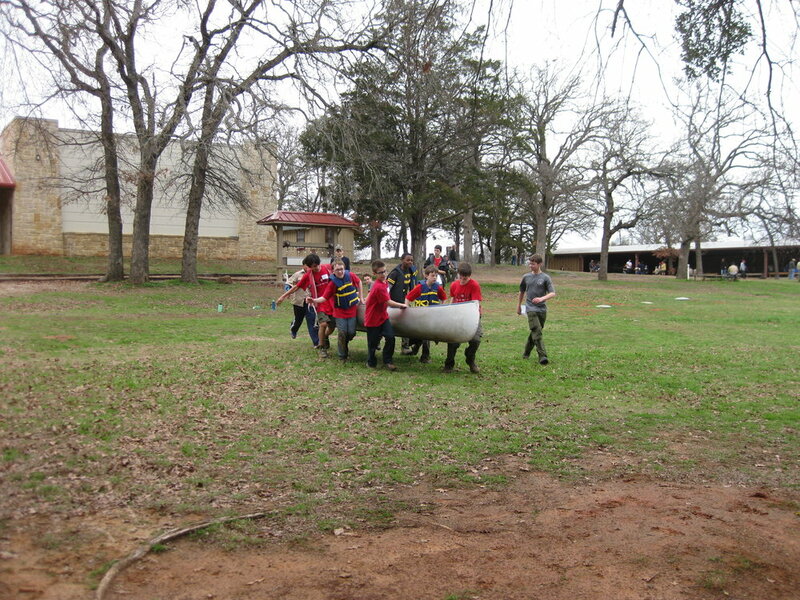 We camp every January at Mr. Alspaw’s Ranch near Iredell (a bit south of Glen Rose). This is the family ranch of Jon Alspaw, 890 Eagle # 46 (1973), also father of Cameron, 890 Eagle # 351 (2007). 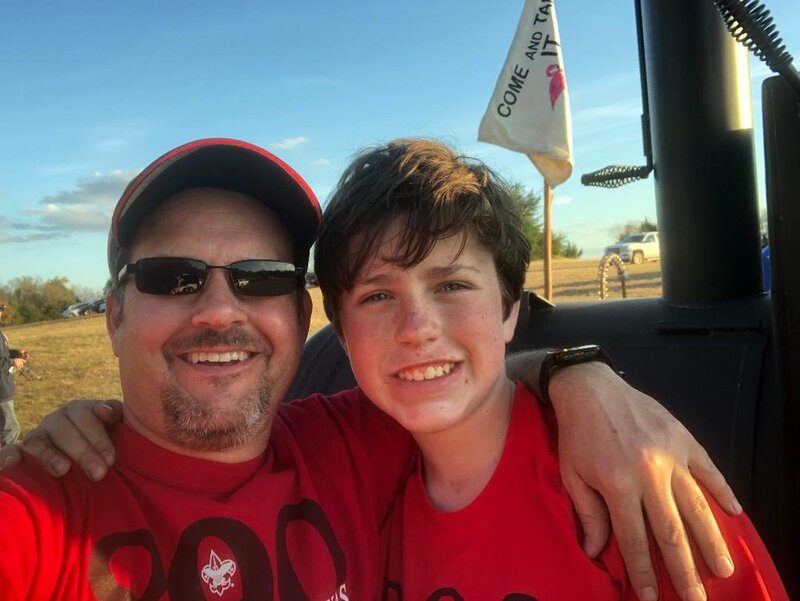 We have camped several times at the Youngblood Ranch in Sanger, Texas. This is the family ranch of Carita Youngblood, mother of Harris, 890 Eagle # 514 (2017). We sometimes camp at Camp Trevor-Rees Jones, a Circle 10 Council camp, near Athens. 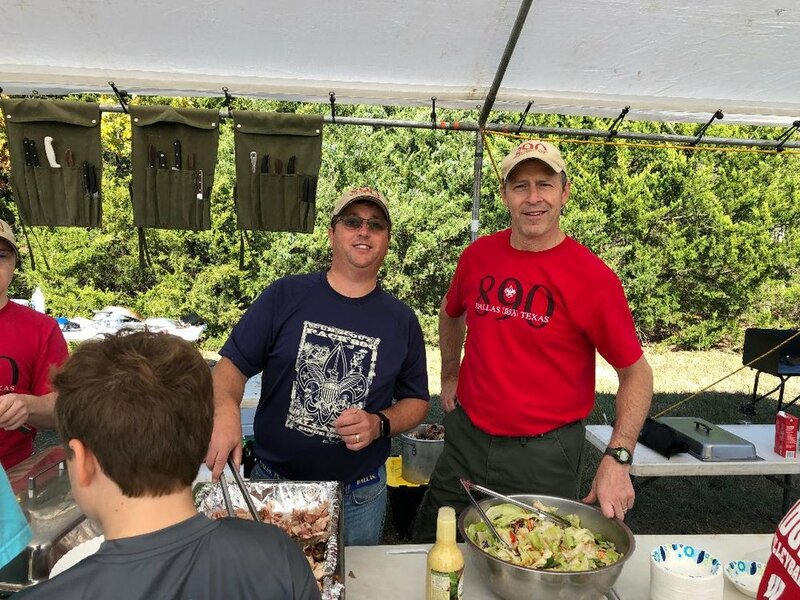 This camp was formerly known as Camp Cherokee and also Camp Meisenbach. We sometimes camp at Camp James Ray, a Circle 10 Council camp, near Sherman. We have camped twice at the Travis Ranch outside Athens. This is the family ranch of Bill Travis, father of Bryan, 890 Eagle # 115 (1985). Sunset at the Travis Ranch.